Been eyeing this for awhile. Anyone here on DT have one? Currently using a slimblade and my wrist hurts sometimes while using it. Seeing as this trackball requires you to rest your wrist on the unit, I was wondering if it might be more comfortable. It has great reviews, but I am still weary about buying since I have small hands. Elecom use their own software to enable you to use the extra buttons on the trackball. Also, a few days ago I read on a forum (I cannot remember where) that you cannot press more than 1 button at a time on it. I got one of these on Amazon about two weeks ago and have been *trying* to love it in daily use at the office. 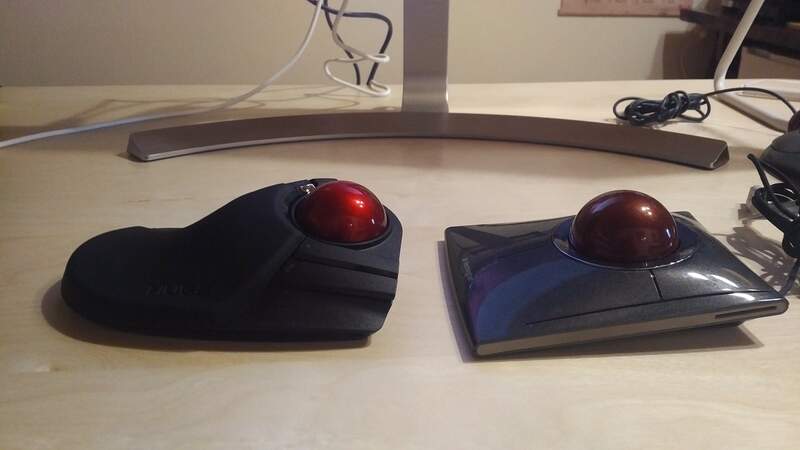 It has a noticeably higher quality feel than the smaller Elecom trackballs, the trackball action is smoother and the switches are more tactile. And I like the placement of the macro buttons better, and on Linux they all send unique button codes that can be bound to whatever-- unlike the smaller Elecoms, where some of the buttons seem to require elecom's goofy software. But I just can't get comfortable. Even with the wrist rest, my wrist is at a really sharp angle with the bigger ball, and I feel overpronated too. I thought I'd get used to it, but after pushing though it for a few full days of office work it's noticeably less comfortable than a standard mouse or the smaller Elecoms. As derzemel mentions, an angled base does help with the probation issue a bit. The ball and case shape are perfect for me. But the scroll wheel is too far back and the left click button is too far down. It's just like the Ergodox, it's only ergonomic for people with big hands. I have one but my hands are too small for it, thinking of giving it to charity shop. ag36 wrote: ↑ I have one but my hands are too small for it, thinking of giving it to charity shop. 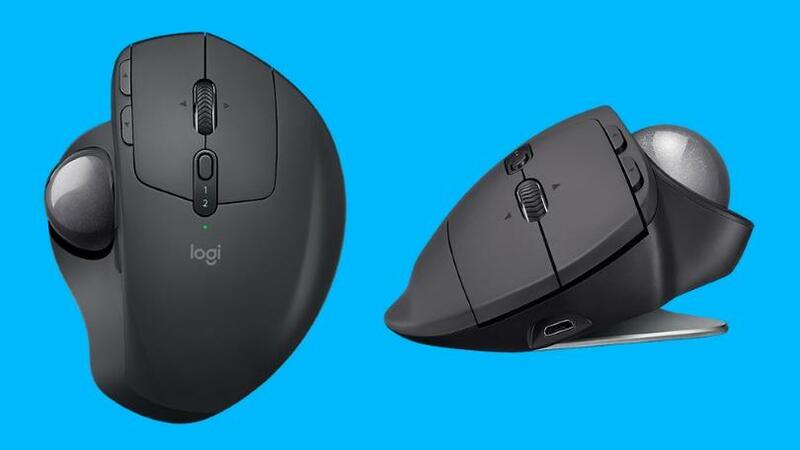 My friend has the Logitech MX Ergo, he recommended it to me as well Must be worthy enough haha. 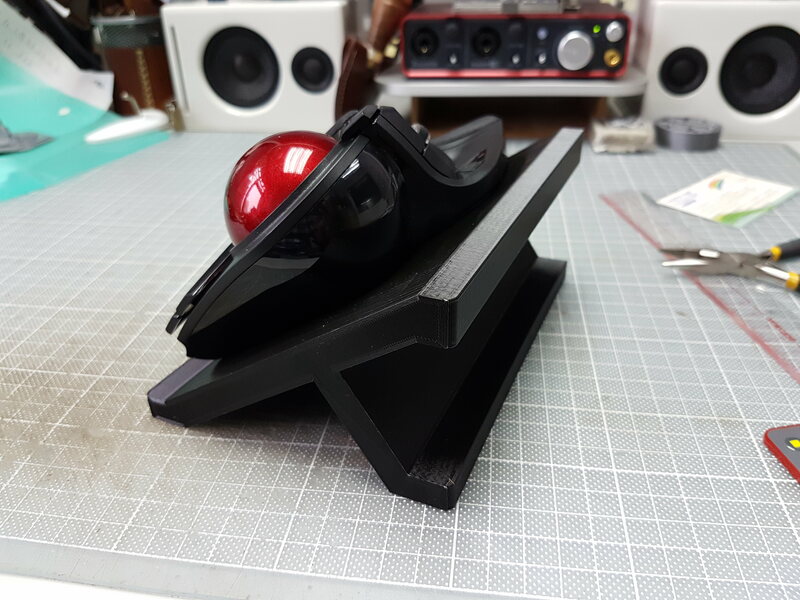 I have an Elecom Huge which I mounted on an angled holder I built using Lego. The trackball is great, but I can't figure out what sort of hand shape or posture would let you get comfortable with the grip if it rested on a table. The wrist rest is nicely padded but I find that it's simply too long (if I angle the thing inwards) or too flat (if I try to keep it flat or just angled to the side). YMMV. I had a chance to briefly try Elecom Huge after a colleague bought one. I had to contort my hand quite a bit due to both the overall shape of the device and also the location of the ball. I imagine it would be more comfortable if used on an angled stand, but it's definitely not a very ergonomic device for me personally in its stock form. P. S. I'm 193cm tall and have very large hands. I picked one up to use as a wireless trackball occasionally on my Media PC. I first tried the DEFT, but my fingers were far too high on the ball when holding normally, that they were bending uncomfortably for normal use. The wrist-pad is quite thick, and raises my hand/arm up more than I'd like. My right sholder has issues (hence being a trackball user), so extra elevation is not appreciated. There is a small but non-zero start/stop "stick", at least with my model. It's far FAR better than what I saw with the DEFT, but not as good as the Marble Mouse or L-Trac for fine motion. So, it works well for my purchased use case, but isn't going to become my daily driver.